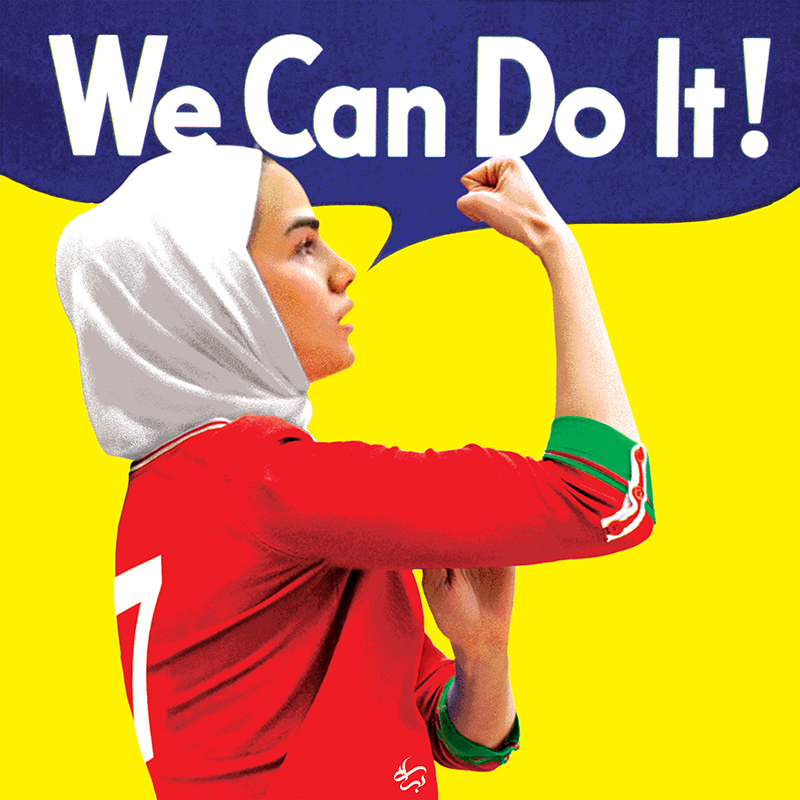 Iran - July 07, 2018 09:53We can do it! Fereshteh Karimi's interviewBetween achievements and dreamsNilai 2015, Bangkok 2018. Almost three years have gone between the two editions of the AFC Women's Futsal Championships but history has not changed at all. 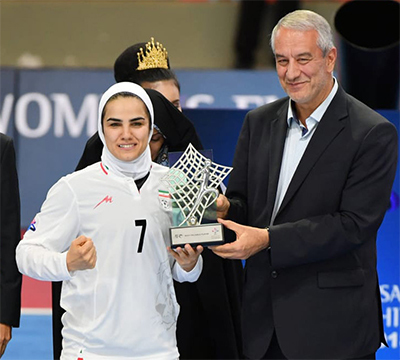 Iran team claimed the title, while a girl wearing a white or red n°7 shirt was once again crowned with the MVP award. Her eyes are deep like her vision for life but there's nothing to hide. No diplomacy, just direct thoughts, words and actions. Her name is Fereshteh Karimi. "An independent human being with amazing perseverance", this is how she describes herself. Meanwhile the international futsal stage has immortalised the stunning persian girl as the absolute Queen of women futsal in Asia, as well as one of the best players in the world. We had the chance to interview Fereshteh Karimi, have a look! Iran won the Asian Futsal Championships again, at the end of one more final against Japan. Were you expecting to win also the second edition? Which one was harder to conquer: Malaysia 2015 or Thailand 2018? Yes. We were eager to defend our 2015 title and it was a tough job. But due to our effort and endeavor, we managed to defend our title. As you know, to become a champion is difficult but to defend the championship is even harder. I believe our championship in Bangkok was more difficult than 2015. Japan have progressed well the same as China which was in our group: the Chinese side was much stronger than 2015 edition. How do you evaluate the level of tournament in Bangkok? From 8 nations in 2015 to 15 countries in 2018: how women futsal in Asia is changed in three years? Do you recognize a great improvement? Which are the strongest countries for women futsal? The level and quality of this year's edition have improved comparing to the 2015 edition. However, the AFC has begun a very strong move and the changes have been tangible in the past three years. We should consider that this was the second edition of the challenge and there is still a long way ahead and room for progress. In this edition of the AFC Women's Futsal Champs Vietnam, Indonesia and Malaysia were among the high quality teams. China, as mentioned, proved that it has progressed so much and I think they will join the "best teams train" in the future. But teams like Iran, Japan and Thailand are Asia's top three teams. Iran by winning two titles in a row has shown their muscles to continental rivals. In my opinion, if one day one team can defeat Iran, this is supposed to be Japan. You were again named as MVP of the tournament, what does this mean to you? Do you feel yourself as the best asian futsal player? How is this award recognized in Iran? Do people know you? I have always done my best to become the Asian Player of the Year and have always thought about it. I consider myself as one of the best Asian players. In order to become the best, a player should feature skills in shooting, dribbling and being fast. I have obtained all those skills through individual and team practices. I always liked to become an influential player for my team and to enjoy the game on the court. I enjoy playing futsal and being at my team's service. In both editions, I was fully prepared and it made me be content with my performance in each match and play with more energy in the next match. Consequently, I was named the MVP of the competition as it was my goal. Of course, it was my goal along with winning the title and being a basic player for my team. This (winning the MVP award and AFC title for Iran) registered good reactions in Iran. Many people, especially Iranian women, were happy for the second time for our championship triumph. The consequent glee was almost the same as when Iran men's national soccer team qualified for the 2018 World Cup. After this victory videos and photos of the matches went viral, and attending some popular TV shows people recognized us. We became so popular that wherever we go, having shopping or dinner in restaurants, people come to us asking for pictures. And this is very important to me. When did you start to play futsal? Have you also played other sports (football or other) in the past and right now? How is the level of futsal and of the domestic competition in your country? I started playing futsal at the age of 14. I used to play football with my classmates in the school, then we decided to try a futsal course in a sport venue and that was the beginning of my trip. I was at the same time busy with playing football and futsal and I was a member of Iran's national women football team for ten years. For some years I used to play for national soccer and futsal teams. But since four years ago, I have focused on playing only futsal as my goal became bigger and I did my best for the second Asian title. I have played for several Iranian clubs. Last year I played for Azad University Club of Tehran. I think women's futsal is gradually finding its place in the country. 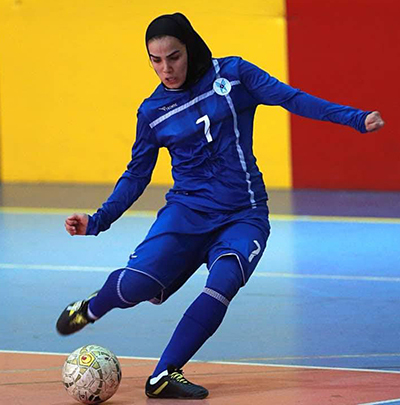 Iran' national futsal league for women is held with 14 teams. It helps players to be involved in the competition for seven to eight months. Playing in 26 high level matches during a season will boost the technical quality of national team. Are you a professional player then? Do you have another job or just play futsal? Have you ever received proposals to play abroad? Would you like to play in other leagues like Brazil, Spain, Portugal, Russia, Italy and so on? Yes. I am a professional player and I earn my living via playing futsal. As a professional player, I'm very sensitive to my good nutrition, sleeping and practice because futsal is my life and love. Yes. I have also received some bids from foreign clubs but since they were not serious, they did not turn into contracts. Like any other player, I'm eager to play in foreign leagues: I've learned playing futsal in Iran and I like to experience playing futsal abroad. I feel like I am still living the beginning of my quest and I should keep learning. Yes, it's definitely my dream to play in other countries. Who is Fereshteh Karimi in private life? What do you like and what kind of person are you? How is life in Tehran and Iran in general? In my opinion, Fereshteh Karimi is an independent human being with amazing perseverance and pursues a great goal in her life. I prefer my family and being with them to any other thing. I am a logical person. I like to have a happy and healthy life. I love living in Iran and Tehran. I love my country and I do not change one inch of its soil with anything else. We asked the same question to brazilian player Amandinha: why in your opinion there is not anymore a World Cup for Women Futsal? And why FIFA is not planning to introduce such a tournament? I think it is a big weakness for FIFA. FIFA has a motto which says football for all. It also includes women and it is their right like men to have both World Cup for futsal and football. It is the dream of all female players to display their talents in the world level. When all futsal leagues for women are held worldwide, why should not women have World Cup for futsal? But this is carried out by the Asian Football Confederation very well and the progress of women's futsal in Asia is due to the efforts of the AFC for holding the competitions regularly. It is interesting to say that most of the countries have welcomed it. When Iranian women see that we can participate in the official competitions and become champions, they are happy. But since we cannot repeat it on the worldwide stage, people get disappointed. We dream to enter into world top three teams like our national men's futsal team and to show Iranian women's talents. I hope one day FIFA would hold World Cup for futsal where we can put on display our motivation and power. Which players do you admire and like in women futsal? Who’s the best player in the world in your opinion? And who are the best women futsal players in Iran? We have several high level players in futsal in the world. But I believe Vanessa and Amandinha are among the world best. In Iran, we have 5 to 6 high level players but I think Fahimeh Zarei is among the best in Iran's futsal history. Do you plan to stay in futsal (as a coach or something else) after you will retire as an active futsal player? Yes. I want to enter coaching scene in futsal after retiring from playing. I love to train and coach in the youth level. When I look back, I find that I began learning basics of futsal at the age of 23 or 24 and it was late. For this reason I like to teach the basics of the futsal to girls at the age of ten in order that they can be among the best of Iran and the world when they become 20-years-old. One of the reasons that I want to play abroad is to shine in international level and to learn futsal in other countries and transfer my knowledge and experience to Iranian players. Women futsal: what do you hope for your sport? Which actions in your opinion should be taken to improve the consideration of our game? My dream is divided into two parts: national and international. In the national level, I like Iran to be one of the world's top three teams. With this target we need to work harder and having the support of the federation and people. We need more training camps and international friendly matches. I have learned that we are to play two friendly matches with Italy and Spain and this can improve the quality of Iranian players. On the international level, the only carving of Iranian women futsal players is the World Cup where we can compete and be seen worldwide. The World Cup is a serious issue which can be a showcase for women's futsal in the world and other countries which are involved in it.